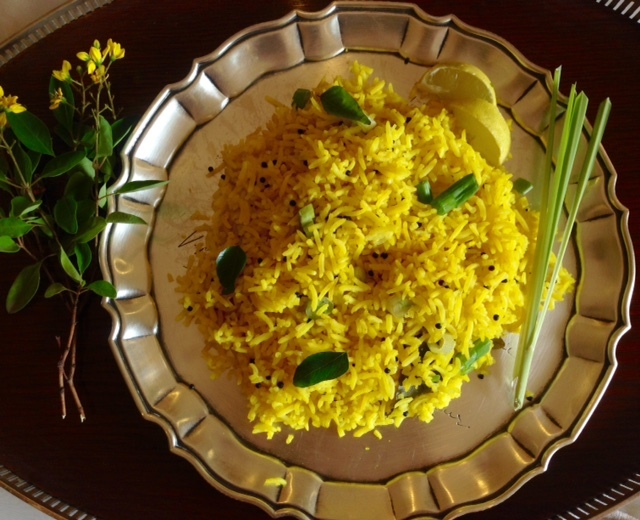 Lemon Rice with a touch of lemon grass, lemon, curry leaves and mustard seeds. Heat the oil, sizzle the lemon grass, curry patta, mustard seeds, salt and turmeric. Wash the rice and add it to the pot. Add 4 cups of water. Bring it to a boil and allow all the water to evaporate. Add the 1/3 cup juice+ 2/3 rd cup water. Shake the pan and cover the pot. Leave to steam for 20 minutes until it is cooked through. Do not add the lemon before all the water has evaporated. It can leave some of the grains of rice hard. Depending on what you are serving it change the flavours. For a Thai curry use kaffir lime leaves instead of curry patta. Use saffron instead of turmeric if you desire, or use a bit of both. Serve this with the aromatic korma or a yogurt kudhee. It tastes delicious with chicken curry and with Persian khoresh. The choices are umpteen. Farida, there are a couple of curry recipes that are currently accessible. There is the white fish curry in my ebook http://www.amzn.to/NKAutumn from read.amazon.com. Also the prawn curry on the blog. 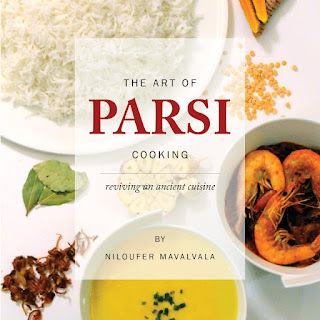 Coming soon in print, is my new cookbook currently under publication that is called The Art of Parsi Cooking; reviving an ancient cuisine. This will include a chicken curry a fish curry and a meat curry. Hope this helps.